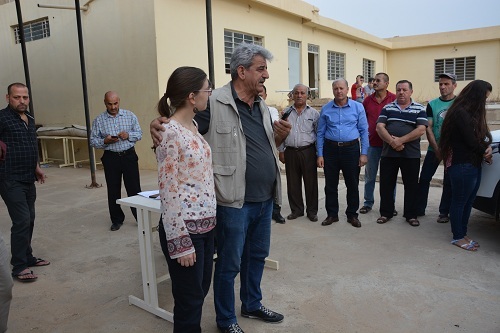 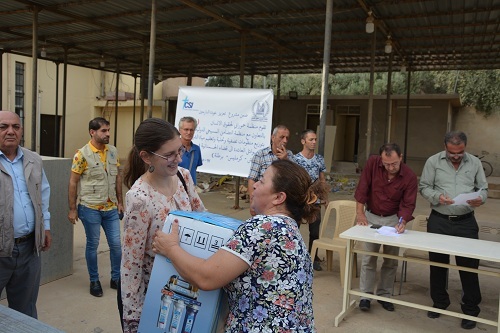 Hammurabi Human Rights Organization HHRO continues to implement its relief project in the cities, towns and villages of the liberated province of Nineveh as for the fourth time, the town of Bartella witnessed another relief step carried out by the organization with the support of Christian Solidarity International CSI. 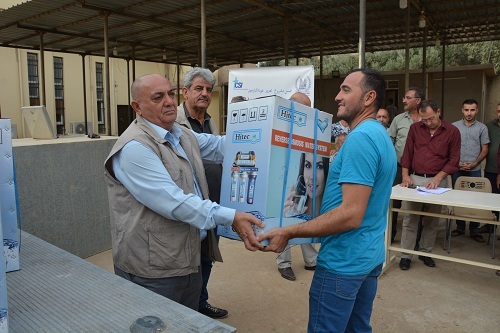 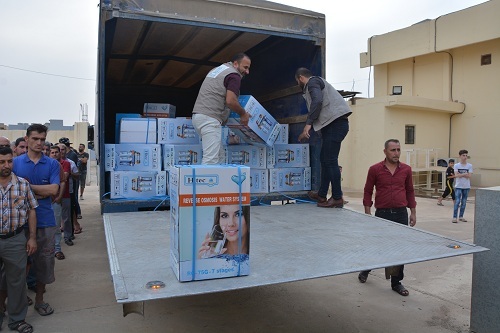 On 16/10/2018 the organization distributed household water filtration and desalination systems to 103 family and so far 400 family have benefited from this relief program as part of Hammurabi Human Rights Organization's efforts to promote the return and stability of families who had left the province after the terrorist invasion of ISIS mid-2014. 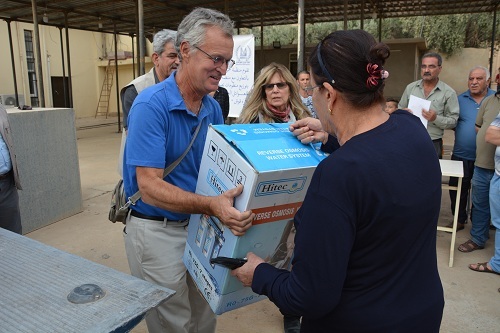 A delegation from CSI, which included activists Helen Ray, Martha Hudson and Kenneth Timmerman, members of this supporting organization participated in the distribution. 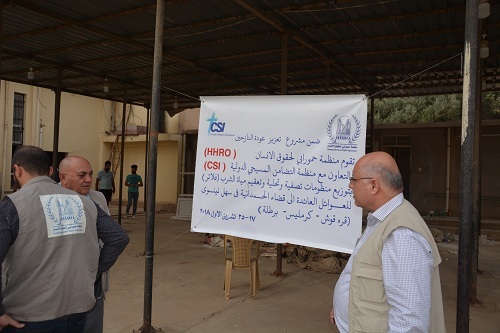 On the part of Hammurabi organization, the participants in the distribution process were Mr. Louis Marcos Ayoub, Vice President of the Organization, Mr. William Warda public relations officer of the organization ,Mr. Yohanna Yousef Tawaya, head of the organization branch in Erbil, Stephen Noah, Amir Saeed Malallah, Yousef Ishaq, Farhan Yousef Al-Khuzaimi and Luay Kamal Oraha, members of the General Board of HHRO. 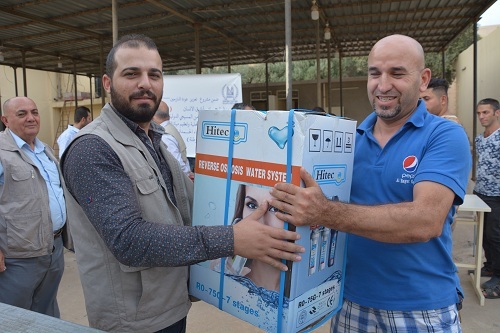 It is to be mentioned that Hammurabi organization has been keen to adopt a humanitarian and human rights program to support citizens returning to their liberated areas and is consistent with this more field communication.